Pynfall specialises in business development and sales including government relations, public affairs and marketing. The company has been operating in Australia since 1981. Pynfall advises domestic and international companies on and acts as in-country representative for overseas companies seeking to establish market presence in Australia and New Zealand offering business to business and business to government representation. 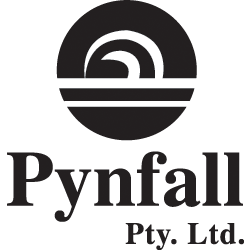 Pynfall is well established in the regional and international defence, mining, energy, aviation and telecommunication industry sectors. Pynfall has a strong European connection. Pynfall’s Managing Director, Dr Hannelore Duczek, has enabled with her European background to continuously expand the company’s international clientele and successfully assisted Australian companies in their endeavours to export into Europe. Pynfall is experienced and has the international network to connect Australian companies with European Primes and second tier OEMS establishing successfully business opportunities. Pynfall is highly experienced with an impressive success rate in business development and sales, stakeholder management and communications, as well as developing and implementing lobbying and marketing campaigns. The company has extensive experience in cross-cultural challenges, setting up and working with international teams. Pynfall successfully represents its clients at the highest national and international levels of government as well as corporate boards. Additionally, Pynfall represents its clients at international conferences and exhibitions as well as industry associations.